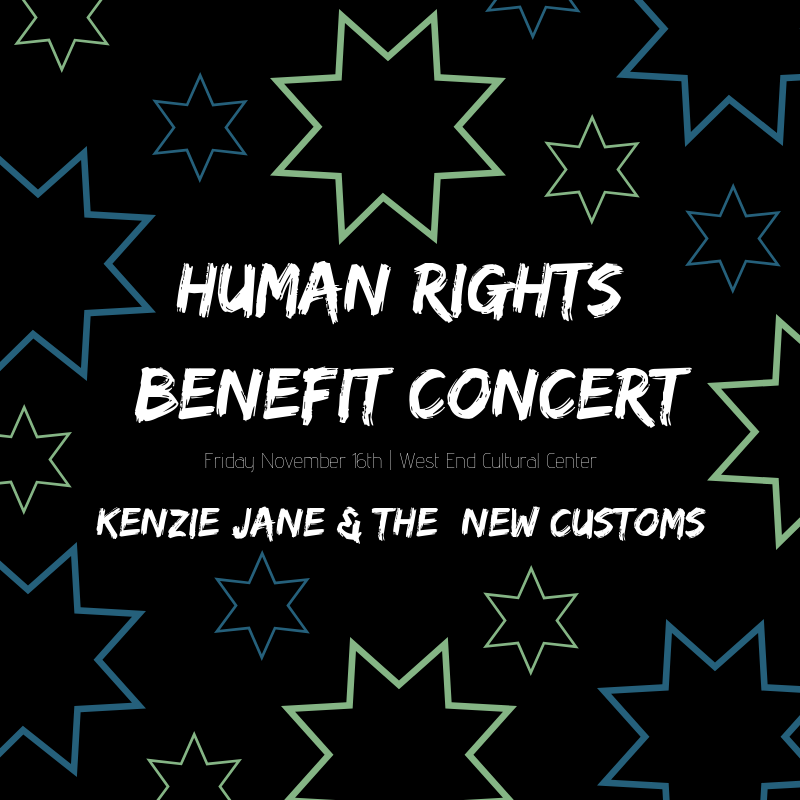 For the first time ever we'll be hosting a Human Rights Benefit Concert Featuring Kenzie Jane & The New Customs! For the first time ever we'll be hosting a Human Rights Benefit Concert to celebrate 40 years of MARL and to raise funds for our local education programming! We'll be featuring two great local artists! Kenzie Jane who has developed a unique style of original music, mixing sounds of RnB, Jazz, Folk, and mouth trumpet. And The New Customs, who are the compelling pairing of Emma Cloney and Dale Brown. The splendid mix of guitarist Emma Cloney’s haunting voice and the playing of multi-instrumentalist Dale Brown (fiddle, mandolin, bouzouki, cigar box guitar, stomp) make up the heart of their sound. Fully Accessible Venue | If cost is a barrier please contact us and other accommodations will be made. In the wake of a conversation in the parking lot of the West End Cultural Centre, Winnipeg’s cultural capital, and a receiving a surprise offer 12 hours later of a Western Canadian tour, Cloney and Brown formed The New Customs almost out of necessity. Instantly however, they were struck by how well their diverse musical backgrounds and writing styles meshed together. Songs flowed forth, arrangements fell into place with ease, and their style formed so naturally that it seemed effortless. Hitting the ground running at a breakneck pace, The New Customs had written and released their debut EP (recorded with folk music aficionado Scott Nolan and Juno Award winner Jamie Sitar) and were appearing on festival stages within months of that initial conversation. In January of 2017, The New Customs decided to challenge themselves. 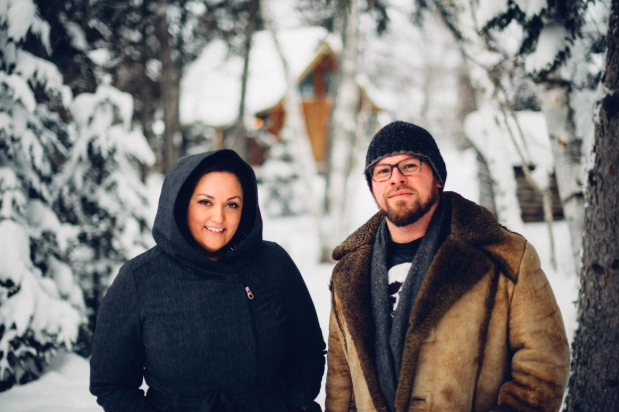 for 4 days in a rented cabin at the Falcon Trails resort in Manitoba’s beautiful Falcon Lake, they recorded the songs they had written and arranged over the previous 9 months as a band. With a clear vision for the sound they wanted and having resolved to embrace their DIY principles, they not only sang and played everything themselves, but also did all the engineering and setup, working long days to achieve their goal. What they ended up with was the 9 song record “All Walls Fall”. With songs ranging from the spooky and sultry “Leave Me Cold”, to a driving adaptation of the Irish ballad “Stretched Upon Your Grave”, to the uplifting title track “All Walls Fall” written in the wake of the 2016 US election, the album is a testament to both the versatility and the cohesiveness of the duo. Kenzie Jane has developed a unique style of original music, mixing sounds of RnB, Jazz, Folk, and mouth trumpet. She is becoming a seasoned performer playing various venues across Canada as well as festivals such as the Winnipeg Folk Festival, ManyFest, Winnipeg Pride, and many more. This summer, Kenzie toured Western and Northern Canada, playing festivals and shows in places from the Yukon to the small towns of Saskatchewan. She released her debut EP, Love Me From Scratch this past April and is excited to start working on her next project.